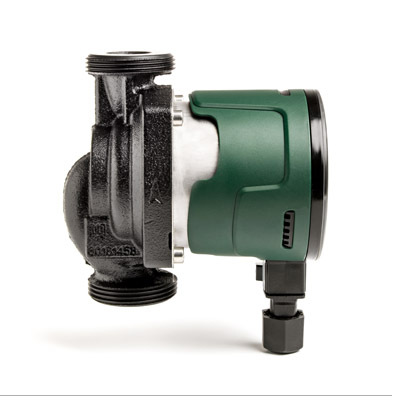 Low energy consumption electronic pump for water circulation in all types of domestic heating and cooling systems. 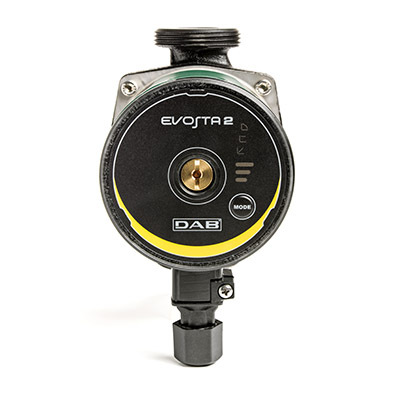 The new range of EVOSTA 2 circulators by DAB combines the strength of an mechanical circulator with the benefits of the electronic circulator. the integrated bleeding plug, the EVOSTA 2 family ranks as one of the best products in the category in terms of performance and reliability. 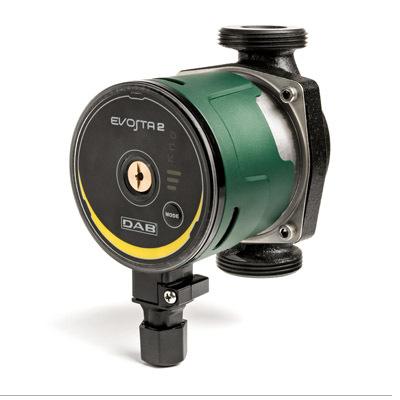 The range of EVOSTA 2 circulators is the perfect replacement for old three-speed circulators due to its compact size and all-round performance. The product is also extremely user-friendly, with a single button for sequential setting and direct access to the motor shaft for unlocking it when necessary. Operating range: 0,4-3,6 m3/h with head up to 6,9 metres.